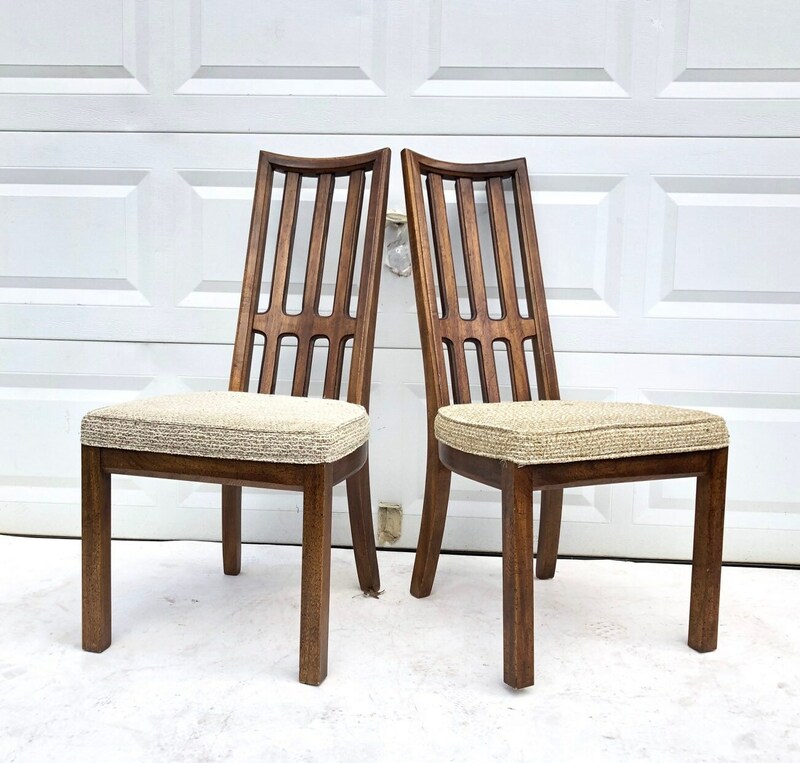 This set of six mid-century modern dining chairs feature stylish modern lines, and comfortable padded seats. 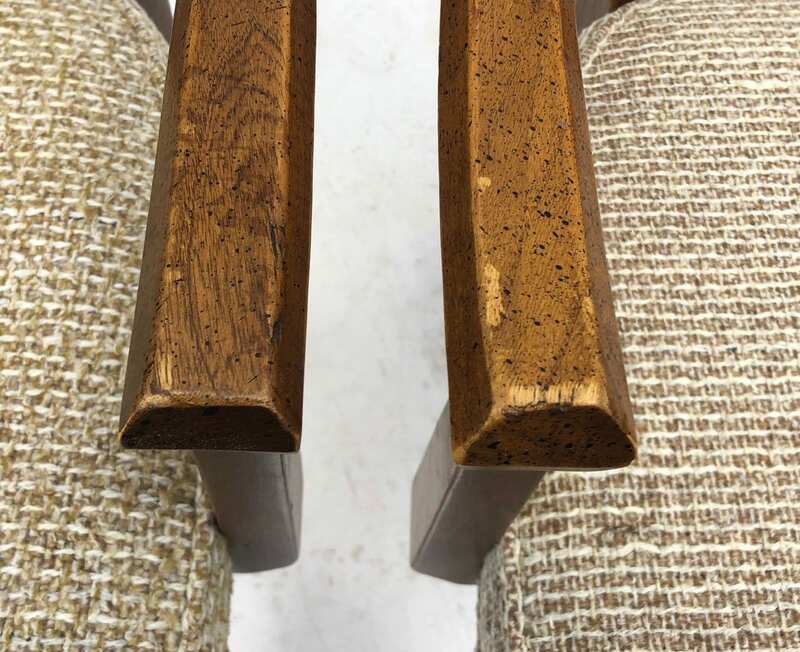 Two of the six feature arm rests for additional comfort. 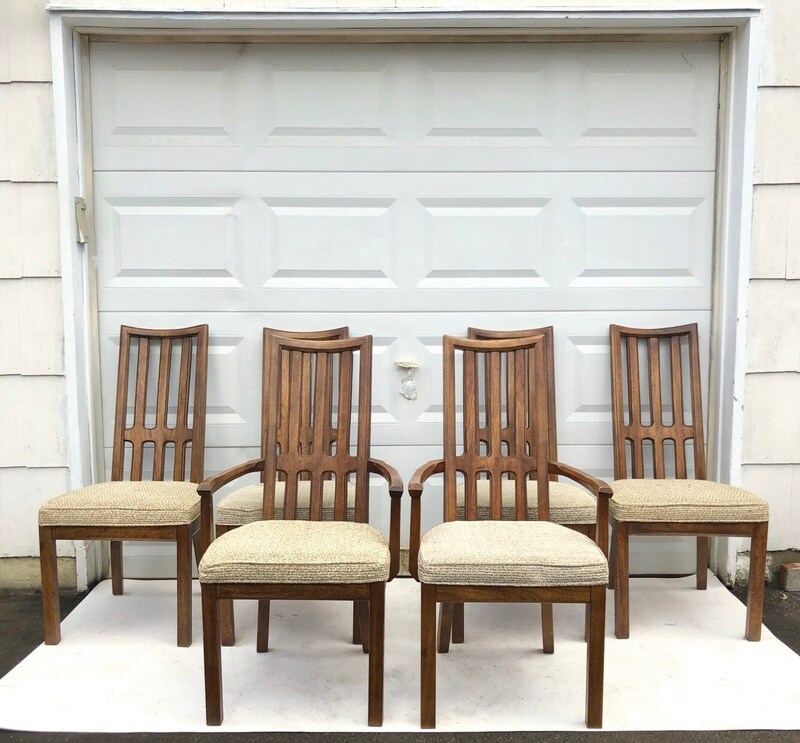 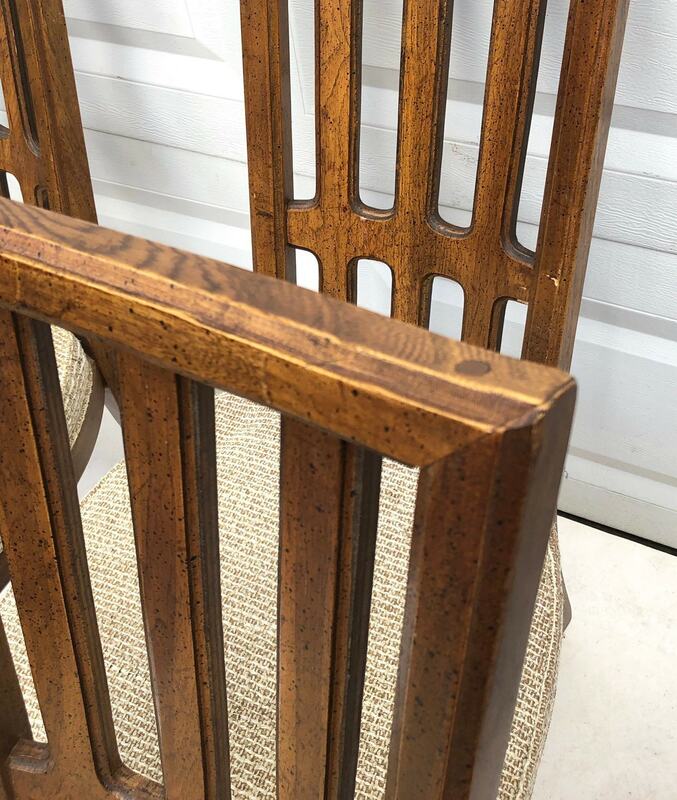 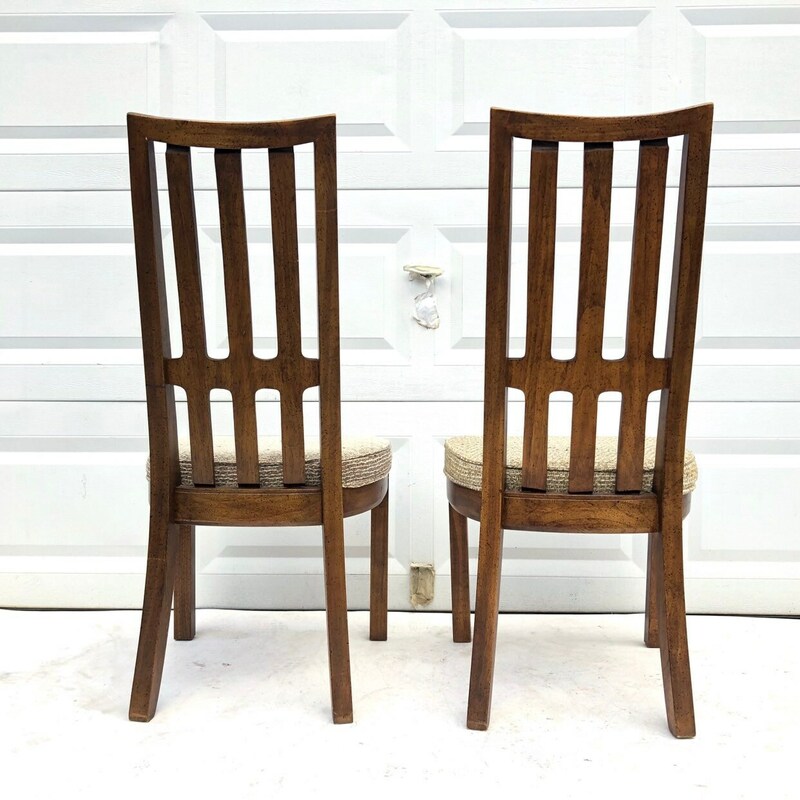 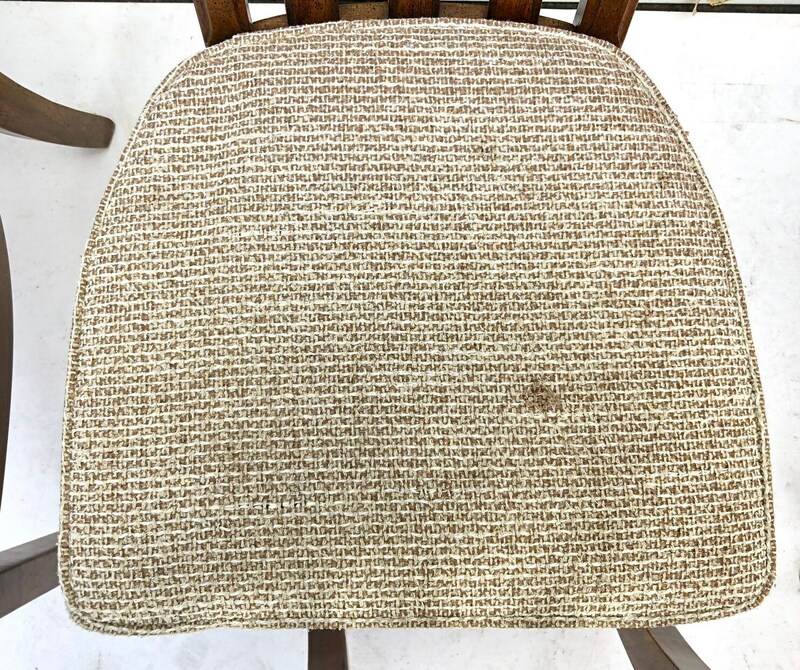 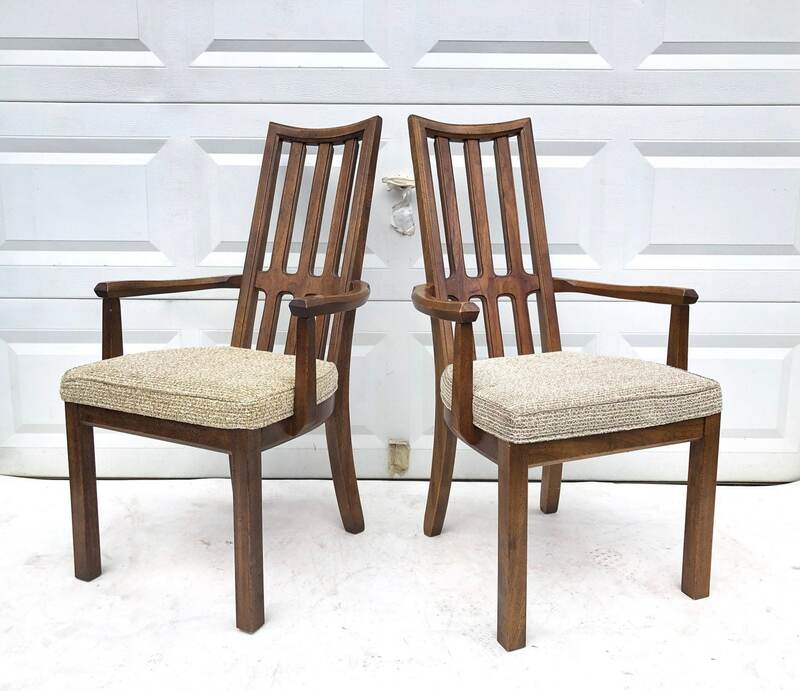 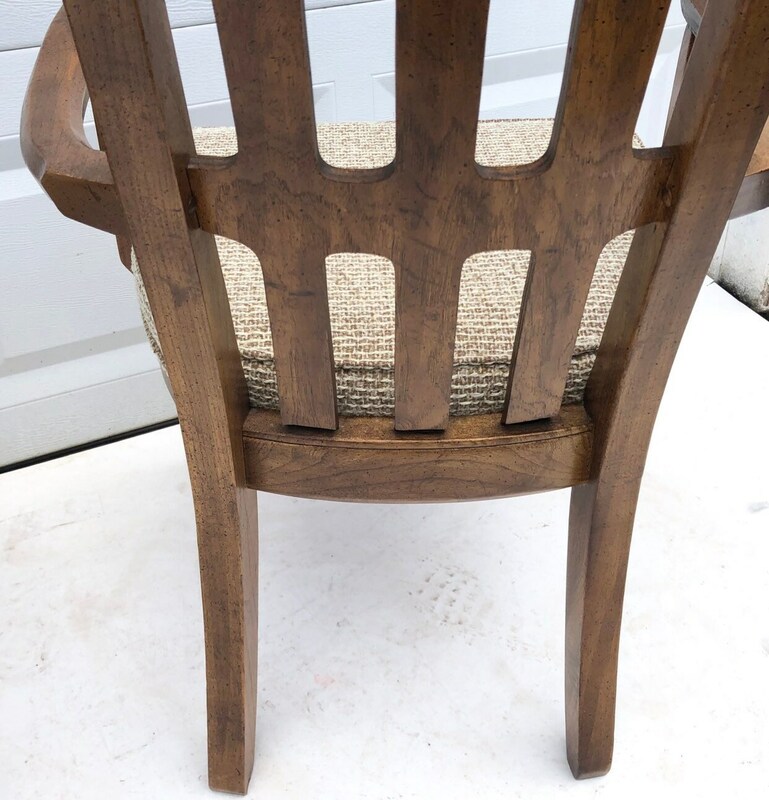 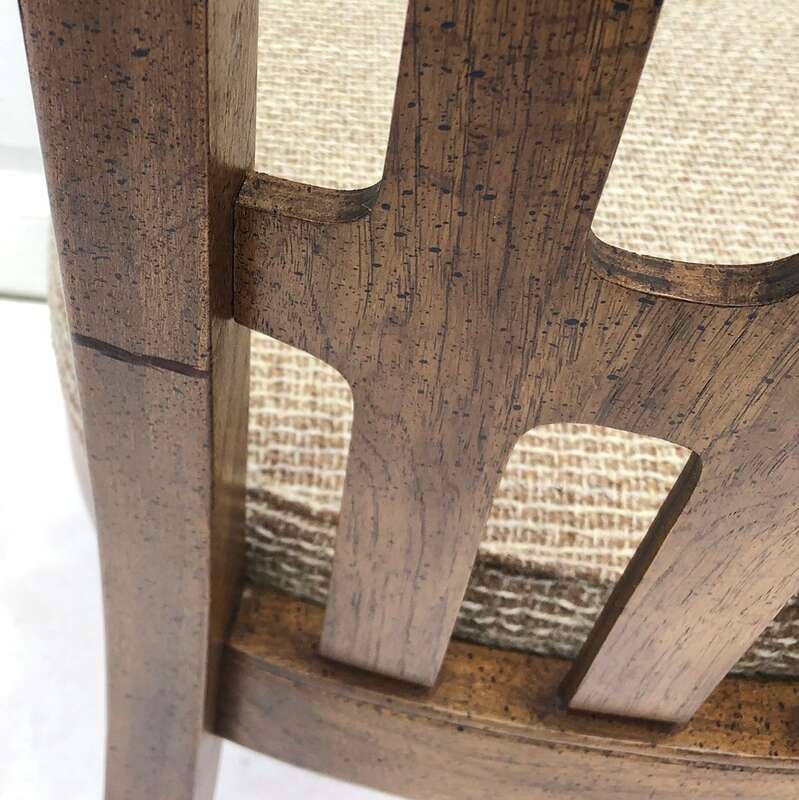 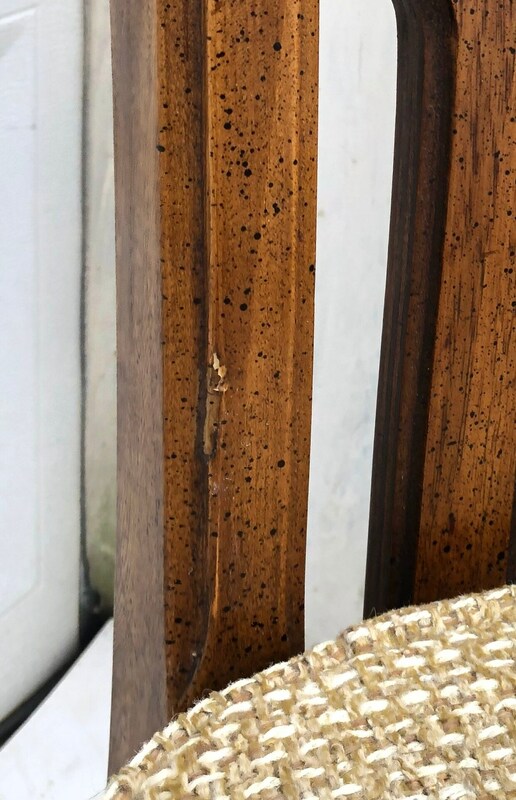 Ideal set of vintage dining chairs to finish out kitchen, dining room, or occasional seating needs.